Technology can be a great thing to have when you’re on the open road, and the 2017 Jaguar XF doesn’t disappoint. This new model includes a plethora of infotainment options, sound systems, and other technology perks that will make your driving experience more intuitive and enjoyable. Look below at some of the fabulous technology you’ll find on the new Jaguar XF model. 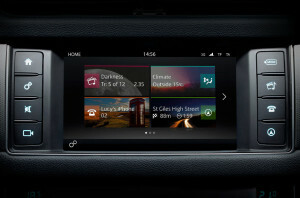 Today’s vehicles always boast entertainment and information, and the Jaguar InControl steps things up. This suite of advanced technologies allows you to easily integrate your own personal devices, such as your smartphone, into your vehicle to access your contacts, favorite apps, music, and so much more. Colts Neck drivers who experience the 2017 Jaguar XF will love the InControl Touch™ with its 8-inch touchscreen. You can also upgrade to the InControl Touch Pro™, which offers a 10.2-inch screen in high definition. To kick things up, the Jaguar Remote™ allows you to access vehicle information from your phone, while the Jaguar Protect™ gives you easy access to first responders and assistance. Regardless of where the Holmdel roads will take you, you can always stay connected with your Jaguar XF. After all, this vehicle comes equipped with a Wi-Fi hotspot that uses a powerful antenna to bring in the best possible connection. When you want to be thoroughly entertained on the Rumson roads, let the sweet sounds of the Jaguar XF sound systems do the trick. The Meridian 380-watt sound system provides great sound that is sure to amplify music in the best way. In addition, you can always upgrade to the 825-watt Meridian sound system, which gives you even more entertainment when you want it. The 2017 Jaguar XF boasts all the technology features you could want in a new vehicle. From sound systems, to Wi-Fi, to the best in infotainment, you will be surrounded by everything you deserve. 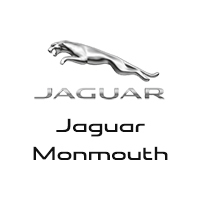 Visit Jaguar Monmouth today at 807 NJ-35 in Oceans Township to see our full inventory. If you’d like to apply for financing, you can contact us online to do so.